Ok, so Canada lost and we all were pissed and upset when it happened. Now, I gotta say I feel fine. It was a tournament that is so over hyped in Canada and played by 18 and 19 yr old kids. It's not that big around the rest of the world and most countries only show interest in it when then win. Canada has made it to the final the last 10 years. Yes, the last 10 years, Canada has had the chance to win gold. They've won 5 consecutive gold medals in those 10 years. Is this tournament too easy? I think it's good Canada has lost the last 2 years. It gives the tournament more creditability and shows that other teams are just as strong. We don't want this tournament to be like women's hockey and just have USA and Canada in the finals every year. We love the World Juniors and want to see it competitive. After seeing Sweden beat Canada this year, it's nice to see that nation stepping up. Finland is up there also, almost beating the USA in the preliminary round and blowing a 3-1 lead to Russia with 4 minutes left in the quarterfinals. With Russia and the USA, there are 5 solid nations that could win the tournament at any given time. The Swiss have also improved a lot over the last few years and have shown they are a team that can win some games over a top nation. Winning is great. But winning tastes a lot better when you know how losing feels. Russian forwards Vladimir Tarasenko and Yevgeni Kuznetsov had strong tournaments. Both finished with 4 goals and 11 pts each. They really stepped it up when the games mattered, especially Kuznetsov. We saw how much NHL players care about the tournament. Those who previously played in it messaged their teams before major games or met with them to inspire them. We also saw how many NHLers watch the tournament, with many players tweeting during the game, and displaying their shock after as well. The 2011 IIHF World U20 Championship in Buffalo and Niagara is the most attended IIHF hockey event in United States history. The tournament had more spectators than the previous record from the 2002 Salt Lake Olympics. Yes, a bunch of 18 and 19 yr old kids were able to draw bigger crowds then the Olympics. I wonder if Southern Ontario and a few crazy Canadian hockey fans had anything to do with that. Joni Ortio looked solid throughout the tournament for Finland and looks like a lock to take over for Kipper in Calgary one day. Canada's development program is still strong. Look at the players who could have played in this tournament. They are products of Hockey Canada and their provincial hockey associations. Canada's Brayden Schenn was named the most valuable player and the top forward at the 2011 world junior hockey championship. Schenn scored a tournament-high 18 points (eight goals, 10 assists), tying Dale McCourt's total in 1977 for most points by a Canadian at one championship. Ryan Ellis received top defenceman honours. Ellis had a very strong tournament with 3 goals, 7 assists for 10 pts. 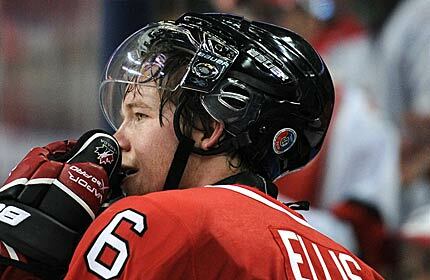 Ellis is now the tournament's all time defence leader in career assists (20) and career points by a defenseman (25). Ellis' emotion after the gold medal game showed us that team achievement is worth more than individual records. Ryan Johansen had a strong tournament for Canada scoring 3 goals and 7 assists. Switzerland’s Benjamin Conz should finally get drafted this year. World Junior drama. There are always stories that emerge or rivalries that become the talk of the tournament. Although not as many highlight reel goals as in previous years, fans were still treated to some beautiful dangles. More was expected out of USA forward, Jerry D'Amigo. With 1 goal and just 2 points for the whole tournament, his performance wasn't really what the USA coaches and fans were hoping for. Emerson Etem called Buffalo a ghost town and worse the Medince Hat. It was ironic that he was a ghost for the tournament, only getting 1 point. 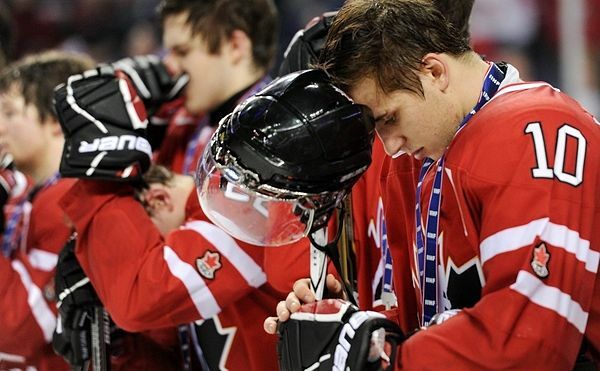 It's already billed as the greatest collapse in the history of the WJC. Canada gave up 5 goals in the last 17 minutes of play in the gold medal game and ended up losing 5-3 to the Russians. The Russian celebration after winning. Pretty ugly. Russia had to spend an extra night in Buffalo because they were "unruly" at the airport. The Russians will not be returning home until the 8th now. Could you picture a hockey game played at the ACC between Canada and the USA. But 80% of the arena is filled with Team USA fans? I didn't think so. Yes Buffalo is close to the border, but still. Where are the American hockey fans? They were the favourites to win the tournament and couldn't even fill half the arena with red, white and blue fans for the Canada-USA game. Germany and Norway are relegated to Division 1. Both failed to win a game. There were many great games to watch that featured hard, clean checks. But there were a few dirty hits that resulted in suspensions or ejections that stole the talk of the tournament for a few days. 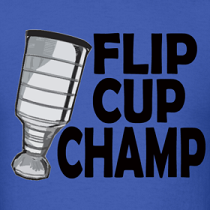 Congrats to all those Canadian hockey fans that made that tournament successful. Thanks for this boys. I've been trying to explain this to people for 5 years now. "Canada NEEDS to lose, otherwise its boring!" We all want them to win but when the competition becomes you know... a competition, the games become way more exciting. Until that third period, I was just sitting there thinking, "well this game is kinda boring." As soon as Russia scored that second goal I was glued to the set. "Re:Brad" Ya I told Josh,Toby & Mark that it was boring after the 2nd being up 3-0. I told them I hope Russia scores a copule to make it interesting. They dudn't like that comment and they didnt like it when they did start scoring. I liked it but i only wanted them to score two just to make it interesting, but the flood gates were open and the puck kept finding the back of Canadas net.